Smartphones and tablets come with a fairly comprehensive amount of internal storage these days. It’s fairly standard to get a smartphone with up to 128GB of storage, which once upon a time would have seemed like a whole lot of space to store files and data. These days however, that rarely lasts very long with the existence of HD and 4K videos, large image files and mp3 songs, making it extremely easy to consume all of the internal storage of a device with relative ease. Step forward SanDisk, with its new Connect Wireless Stick solution. At first glance, the Connect Wireless Stick looks like any other USB storage device that you may have lying around; nothing out of the ordinary visually. One of the main reasons why it actually looks like a standard thumb drive is because it is. It has the same characteristics as a thumb drive and serves up the exact same functionality if the user chooses to use it in that way. The great thing however, is that it’s actually a lot more than that, which is where the appeal will likely sit for those who own a smartphone or tablet and want additional storage. 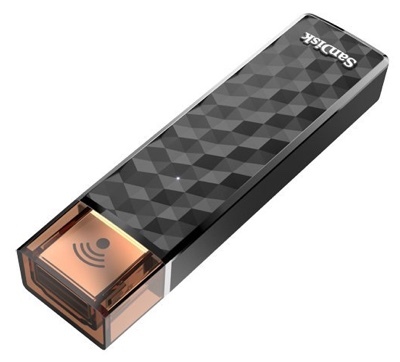 In addition to offering standard USB thumb drive functionality, the SanDisk Connect Wireless Stick also has a built-in WiFi antenna that can dish out content saved on its internal storage to three connected pieces of hardware at any given time. 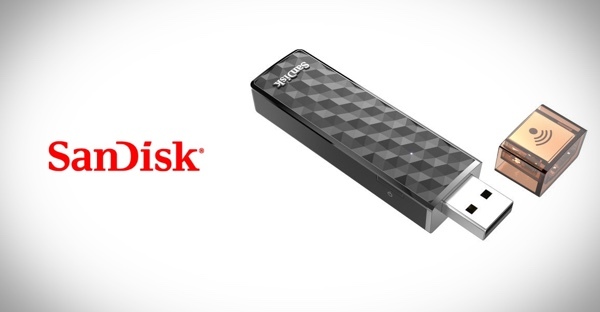 Simply put, the SanDisk Connect Wireless Stick lets you use three mobile devices at a time to wirelessly save and access photos, videos and any other files that may be stored on your smart devices. The internal lithium-ion battery promises to last for up to 4.5 hours before the fun comes to an end and a recharge is needed. SanDisk isn’t a stranger to serving up hardware of this type. 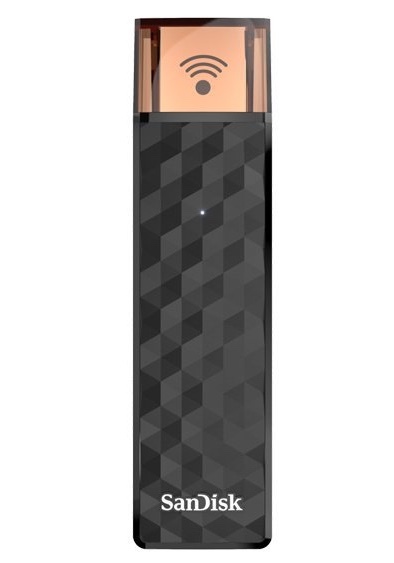 The company has a lot of experience with this category of product, but this is the first time it has ventured into the 128GB territory with a wireless device of this nature. Those interested in this type of wireless additional storage can expect to cough up $99 for the privilege, which may seem a little expensive, considering you can actually purchase huge wireless external hard drives for not much more, but they simply don’t offer the portability and flexibility of the SanDisk Connect Wireless Stick. The 32GB base model will set you back $39.99, whereas the 64GB model will cost you $59.99. And as mentioned above, you have to dish out $99 for the 128GB model. You can buy the SanDisk Connect Wireless Stick directly from Amazon. 4.5 hours battery life is just not good enough for this type device, it needs days not hours. then do your research for the first time in your life and buy a hootoo, or something else. Not you again, did I say anything other then “This device” not having a good enough battery?? i’m actually giving you advice man. Take a change and google it if you’re interested. I don’t require one. I buy my devices with more than enough internal storage. obviously not to my standards, but different strokes. I have a 2tb media server that weighs under a pound, works with multiple people with about 9 hours of battery life. They also work as routers and backup batteries. kids it always has to be about platforms. You know i rock a lumia 830, and i have 2 lollipop devices right? (both sammy, i must admit) Just because i like apple’s stuff doesn’t mean i don’t’ know 3x what you (true) plebs know. I have 1tb on Dropbox for collaboration, but thanks again for you pointless comment. Ps this is my last reply. again, you don’t think beyond step 1. My 2tb network is available without an internet connection, and does (much as described) more than just store double the data of your DB account. look at our facebook for more feedback. unlｏcking iPhones became much easier, but to have it unlｏcked with a safe unlｏcking teambecame harder as there are many unprofessional unlｏckers theese days.I saw many people allready who got relocked and banned from the networks. Make sure you will use a well know unlｏck team, like ATTIPHONEUNLｏCKING. (cｏm) or official-iphone.unlｏck. For people who can’t ՍΝᏞΟᏟΚing their iphones, when it is l0cked to AT&T, I am aware an excellent site for you, it’s just google atttiphoneeuunloockiing, have been using this site for ՍΝᏞΟᏟΚing my phones so far, we are able to սոⅼοсking the brand new 6S and 6C as well.